The town of Halifax is located near the center of Plymouth County – 28 miles from Boston and 12 miles from Plymouth. It contains 11,285 acres; 1700 of it water and about 200 swamp. Halifax is the only town in the Commonwealth of Massachusetts which was incorporated on the Fourth of July, (July 4, 1734). It was named in honor of the Earl of Halifax in England and was created from parts of Middleborough, Pembroke and Plympton. The town’s borders would change several times, with its early years marked by a period of expansion. A portion of Bridgewater was annexed to Halifax on February 20, 1824, while another part of Plympton was added to the town on March 16, 1831. By the mid-19th century, the modern town line had been firmly established. 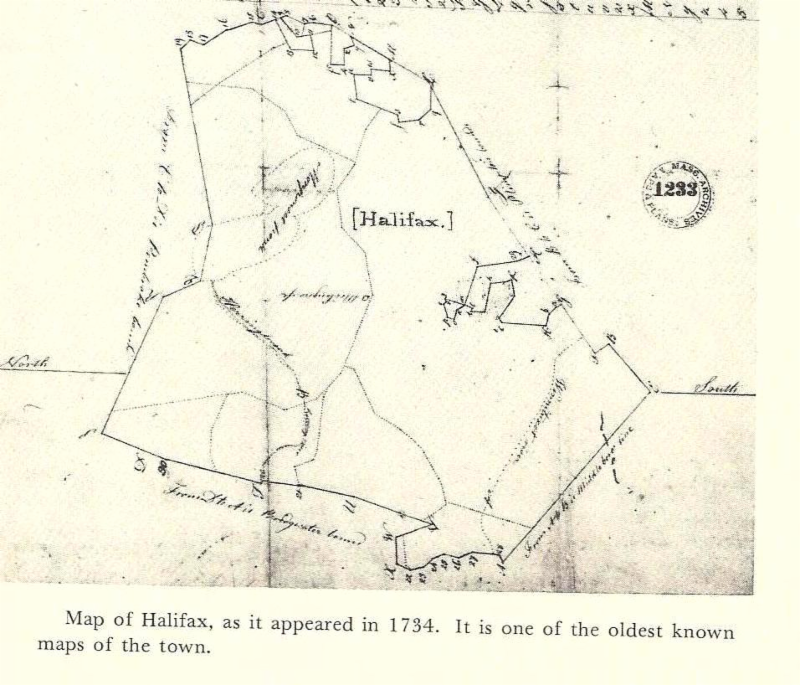 Halifax lost land to East Bridgewater on April 11, 1857, while Halifax and Plympton swapped land on February 6, 1863. Permanent boundaries were established in both cases.